The story continues as The Council: Burning Bridges is out and ready for those following along with this tale to download. It has been a fun ride so far and now we are here with the next to final episode of it all from Big Bad Wolf. 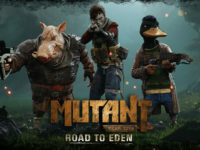 That should mean that we get to see some big story reveals and shocks to see if they will be able to get Focus Home Interactive to think about another season of The Council of if this going to be a one and done kind of deal. We will see on that end. For now, let us dive into our review of how this episode builds, changes, and works on the grander scale. Things were all topsy-turvy for Louis when we last left him. He was on the verge of a grand discovery and let in on how so many of the plots that shaped the world came to be. Not to mention a deeper look at some of the darkness and supernatural that also had their influence. Top it off by finding his mother at last and having a few extra bombshells dropped on him as he is tasked with taking her place with the titular Council. Will he be able to stop their plots, save the day, or join in the shaping of the world. That is for you to decide. Up to now the story of The Council has been a rather intriguing one. 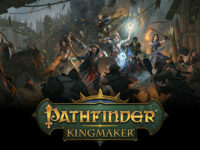 It tackled an alternate history, or possible real one, where a small cabal of people gathered to guide the world and its denizens to a specific place. One of the big ones before the episode started was on if the Louisiana Purchase was something that should happen or not with all sides having their insight and pull. I will not spoil it, but there was a huge twist dropped right near the opening of this episode that seemed like it did not need to be. It even introduced a new mechanic to the game that seemed odd given the fact we are almost to a close for The Council, but it all felt like it was there to shock and truly add much on. It did not completely ruin things up to now, but it felt like cramming in someone’s cute cousin during a TV season for no true reason at all. To top that even further, this episode also seemed to lose faith in the participants to stay engaged in all of the minor facets it created since the start of The Council‘s season. 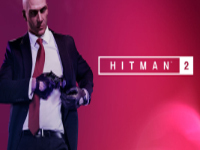 That is, this game is all about investigation and discovering clues and motives. In each new section of this episode, each new “puzzle” might as well have had an arrow pointing to the solution on it. To the point where I came across a puzzle that seemed like it was solved before I showed up. So much so that I ignored it and went searching for the first clue only to be shown I was right from the start. I would have let this slip as a nice psychological thing that The Council finally mixed in about the most obvious being the answer, except that this was the case for every one of them this episode. There was no real reason to do any of the core investigations outside of padding the runtime. I expected more from Big Bad Wolf given how the season has gone thus far. When it comes to innovating the genre that much more, The Council did it again with such a subtle bit that I could do nothing but blame myself for the poor choice. That is, they made real-world time matter a bit; or at least made it feel like it mattered. Usually, when it comes to a big, path-changing event there is an obvious choice screen to go through or a counter showing how long you have until one will be made nonetheless. One of these situations came up, but the options or display was never given. Instead, it was a bit of dialog that I could have acted on or followed through the way that I did. What I did not know was that there was a consequence for me not rushing out and opting to do a bit more exploring and talking. I am supposed to be in the role of Louis in The Council and I chose to make him ignore all of his normal motives to try to find other random things in the game. This led to a divergent path I would never have made had I known it was coming. It was interesting to see it mixed in and is something that sits with me even as I write this. Now, even though I griped on the new mechanic before, I do have to say that I fell in love with not using in the episode here. 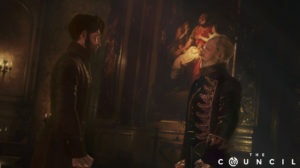 Something that is an option to take with every interaction in this episode of The Council. I was so hell-bent on not using it due to how it was brought up, that it made some of the moral questions and events that much harder to go through. Using the new ability would have made it easier to walk through things but the story and in-game ramifications made me opt to not use it at all. Soon I saw that it was more on the ethical side of the choice instead of my displeasure at having to deal with yet another mechanic this late in the game. If that was the true intention for it, then I applaud The Council on bringing it in. I will most likely never use it unless forced to by the story, but it did bring in a new side to something while it felt like it left other bits behind. This episode definitely drove a wedge between me and my general love for The Council so far. It feels like the story twist was something to shock an audience that would not enjoy it as there were little seeds seen before now. It also forced in a new mechanic very late in the game and it is now something to deal with or ignore. It does drive the story closer to its ultimate end and furthers the alternate history aspect that The Council was going for, but the team was doing a great job before now. It is still worth going through the fast motions of the episode so you can get to the final part, but Burning Bridges is by far the weakest of the season so far. I give The Council: Burning Bridges 6 Broken Spearheads on the Broken Spearhead scale. The Council: Burning Bridges was developed by Big Bad Wolf. 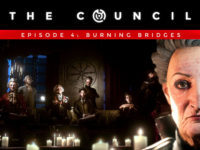 The Council: Burning Bridges was published by Focus Home Interactive for the PS4, Xbox One, and PC on September 25th 2018. 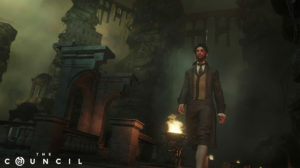 A copy of the game was provided by the publisher for reviewing purposes.